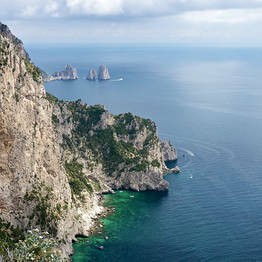 The lane leading to the spectacular Tuono viewing point. 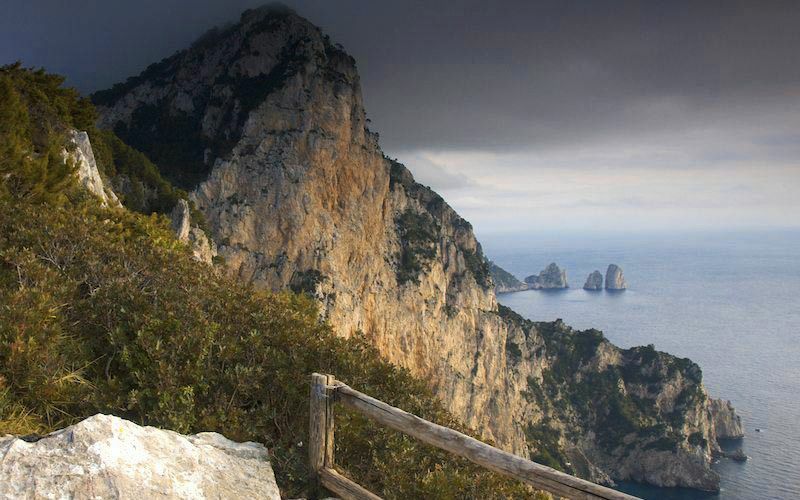 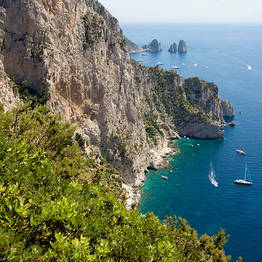 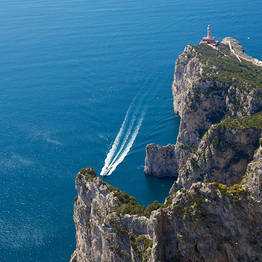 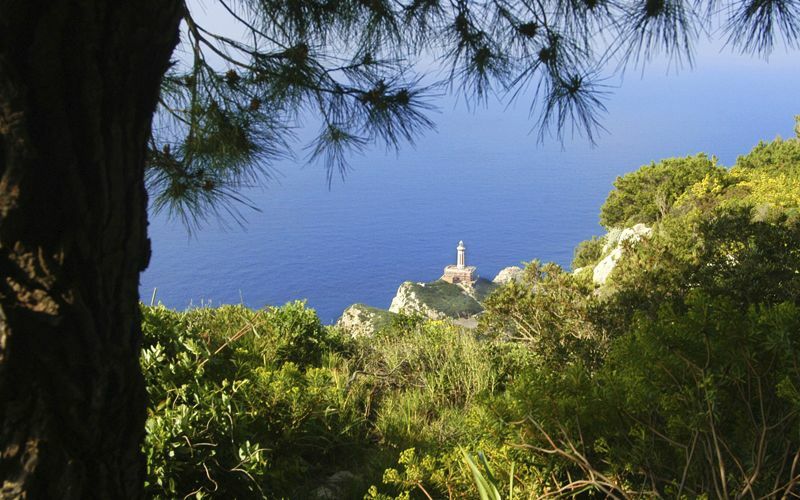 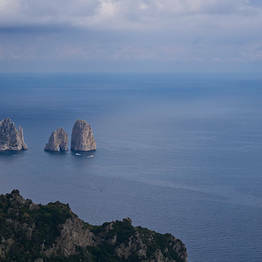 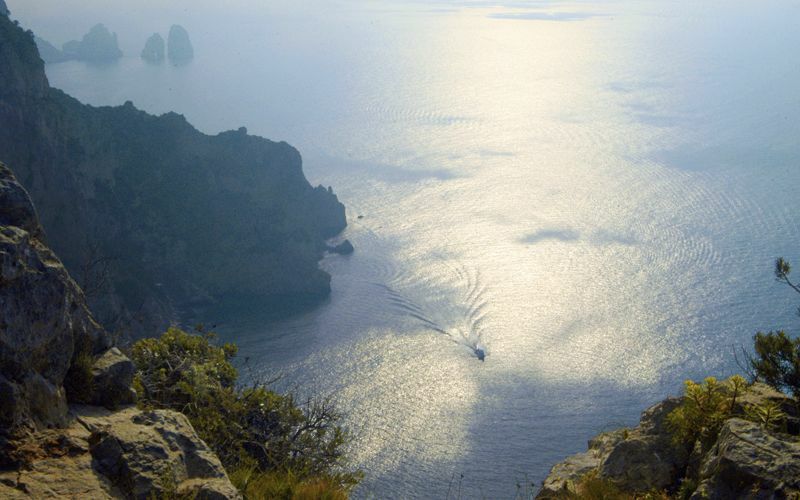 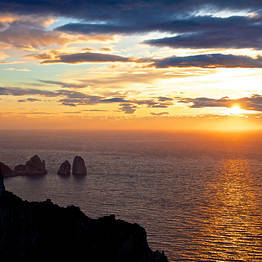 If you want to explore the wilder side of Capri far from the crowds, make your way to Anacapri and the Via Migliera. 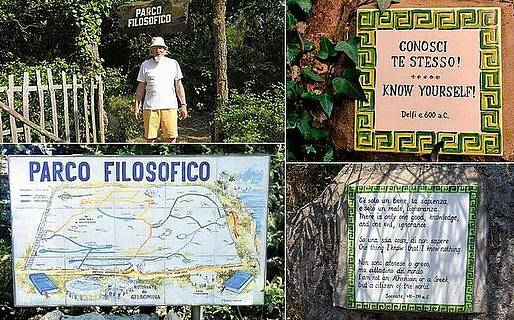 Via Migliera is a small footpath which winds its way through rural Anacapri, past the vineyards where the island's wine is produced, patches of ancient woodland, and tantalizing glimpses of the sea and the island of Ischia. 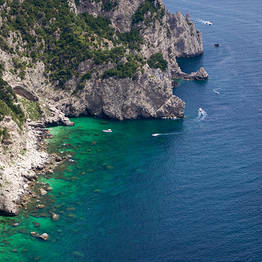 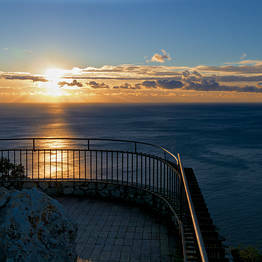 The lane ends at the Belvedere del Tuono scenic overlook, perhaps the most spectacular of all those on the island of Capri. 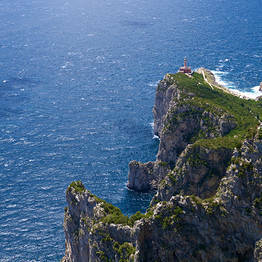 Here the gentle landscape changes dramatically, presenting walkers with a precipice of jagged white rocks which extend as far as the lighthouse of Punta Carena. 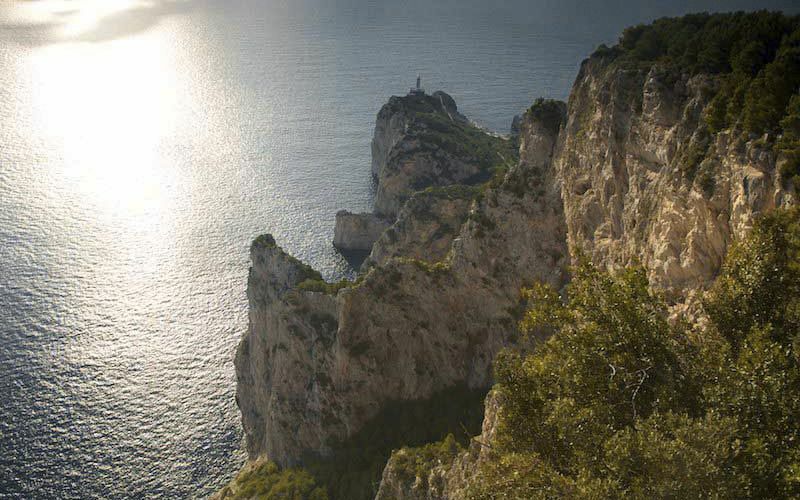 The spectacular Belvedere del Tuono was probably already a major attraction in Roman times; in fact, in the nineteenth century, pieces of mosaic and plaster dating back to the Imperial Age were discovered here. 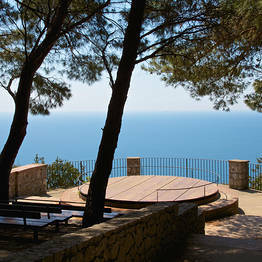 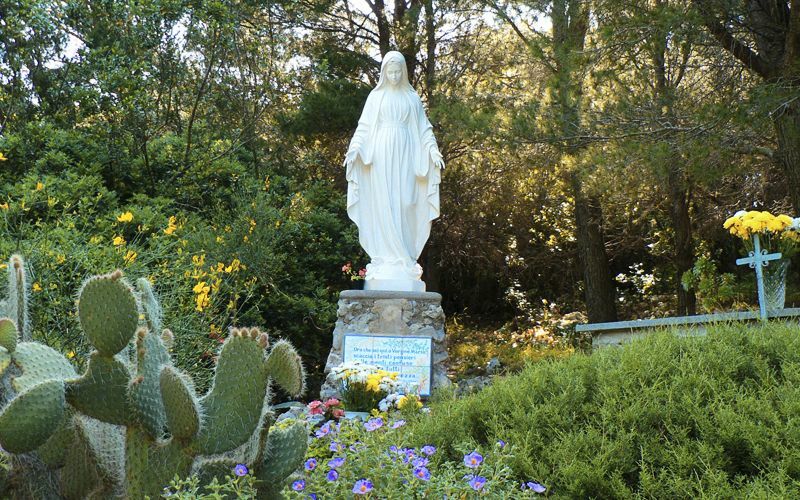 Walk up the dirt track to the left and you'll find a small statue of the Virgin Mary and an iron cross before arriving at another viewing point, this one offering a unique vision of the Faraglioni. 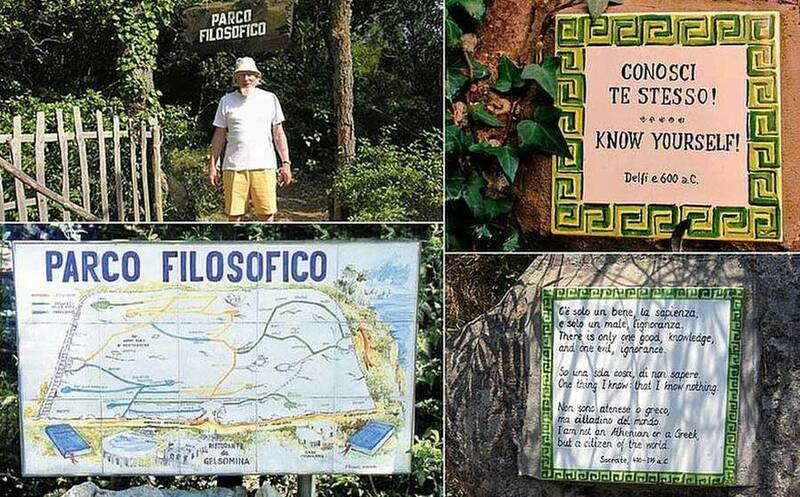 Just before arriving at the Belvedere, opposite the da Gelsomina Restaurant, stop for a walk through the Philosophical Park, a route which skirts the hillside and is marked by a number of ceramic tiles painted with adages and aphorisms from famous western and eastern philosophers.